Pawer. / Don’t Shop, Adopt. Choosing to adopt rather than to buy. In Japan, it seems like pet shops are what comes to people’s mind first when they think about having a pet. At most of the pet stores in Japan, you will see puppies and kittens that are 7-8 weeks old all the time. Do you know where they came from and where they are taken to if not sold? According to the campaign, TOKYO ZERO, about 1,600 dogs and cats are sold at pet stores every day in Japan, while an average of 700 dogs and cats are killed at shelters, mostly by gassing. This means that if people who bought at stores choose to adopt instead, there would be no need for any dog or cat to be put down. By having an option to adopt those in need of homes, it not only save many lives but it would also make the region better by allowing the tax money which is used for culling to be used elsewhere. Japanese people tend to prefer to have puppies and kittens as pets rather than adult ones. Many people seem to think that there are only adult dogs and cats at shelters when there are actually many puppies and kittens that end up there as well. According to the Ministry of the Environment, about 20% of dogs and 70% of cats that ended up at shelters in 2013 were very young in age. That is about 9,800 puppies and 69,300 kittens. If a new pet owner preferred to have a young pet, they would be able to meet one at one of these shelters. The reason why people in general prefer puppies or kittens is because of the idea that adult pets are difficult to train. 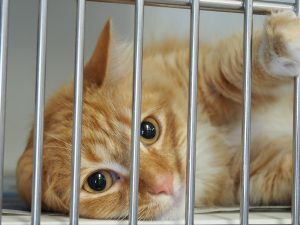 Although it is true that those once abandoned could be traumatized, it just means that they may need extra attention or a longer about of time to get along with their new owner. Dogs and cats would love you back if they are loved and cared for. One of the benefits about adopting an adult dog or cat is that the staff at the shelter will usually know its personality, habits, and health condition very well. The personality and habit of a puppy or kitten is hard to determine as the environment may affect and change their habits. 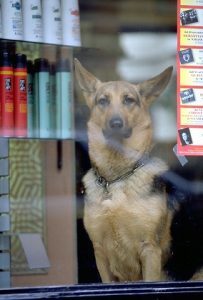 At pet shops, there are cases where making a profit is their top priority so they will hide a pets negative health condition in order to sell it, which does not happen at the shelters. 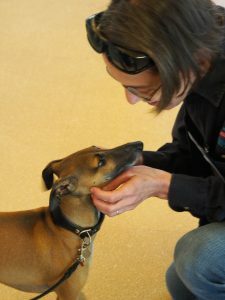 Most animal shelters have their own requirements for adoption to determine if the desired pet matches their prospective new owner’s home environment and lifestyle. To review all these conditions reduces the problems that new owners may have after adopting. They are welcomed to ask any questions, and there are shelters that even follow up after an adoption with owners to make sure that everything worked out. For adoptions, it is very important to have people who know your pet well so that you can go to them with any questions. In Europe and the U.S., adopting pets from shelters is very common. 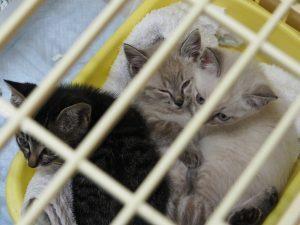 A lot of owner surrenders and strays at shelters get adopted by new owners. There are even regions where they are banned to sell dogs and cats from breeders at pet shops. 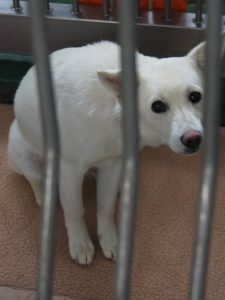 While individuals can still purchase animals from non-commercial, certified breeders, the legislation targets backyard breeders and puppy mills. For example, Los Angeles City made a ban on the sales of dogs, cats, and rabbits from commercial breeders in 2012. San Diego had joined in 2013 and became the 32nd city in North America to enact such legislation. In October 2017, California has has finally became the first state to ban sales of dogs and cats from puppy mills. The pets’ lives are not meant to be sold and bought but should be treated with respect and cared for until the last moments of their lives. How can Japan be a cruelty free country? The first step would be for each person to understand and acknowledge the reality. Thinking about animal welfare is the first step to take the actual action. In our website page “Behind the Pet Stores”, we talked about the pet industry in Japan. That is only a part of the actual situation about how things work behind pet stores; however, being aware of it may change the idea of purchasing a pet at pet stores.